Alternative Spring Break: Students spent their Spring Break, doing service and volunteer work around Ft. Hood, TX. They volunteered at a Boys and Girls Club, where they cleaned and painted the old schoolhouse. West Hall students at Fort Hood on Alternative Spring Break! Martin Luther King Jr. Day of Service: MLK Day of Service is a national day of service where UALR students went out and served in the Little Rock Community. 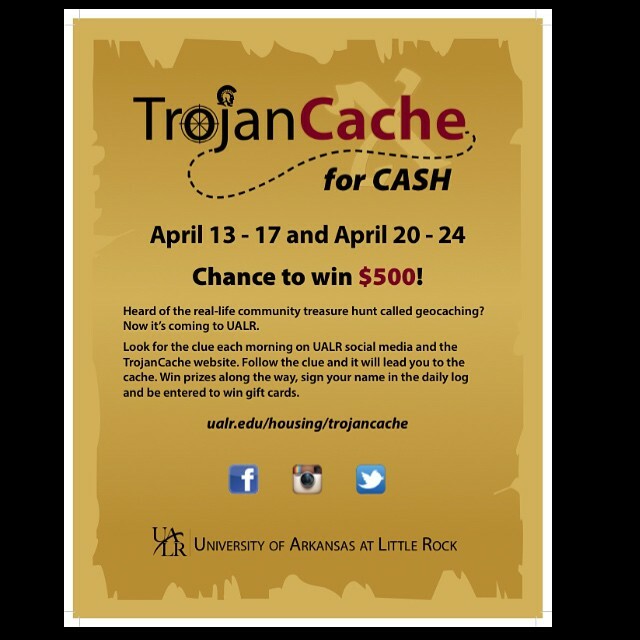 Trojan Fest: The Office of Student Housing partnered with Health Promotion, Programs and Education staff and other UALR departments across campus to offer a night of free food, t-shirts, educational/interactive games, prizes and music. This annual event promotes fun without the use of alcohol and other drugs. International Celebration Week: International Celebration Week also known as International Education Week is an event celebrating the wonderful diversity of cultures, ideas, music, food and traditions both around the world and on campus! The Office of Student Housing participated by hosting International Night in the Commons Great Room. 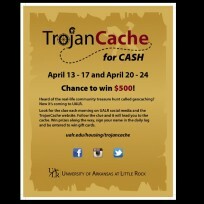 Trojan Cache: This scavenger hunt is all about students getting connected and learning more about the campus community and of course, winning prizes along the way! Sexual Assault Awareness Week: The Office of Student Housing participated by providing heels for men to wear in the Trojans Unite for NO MORE Sexual Assault Awareness Walk.